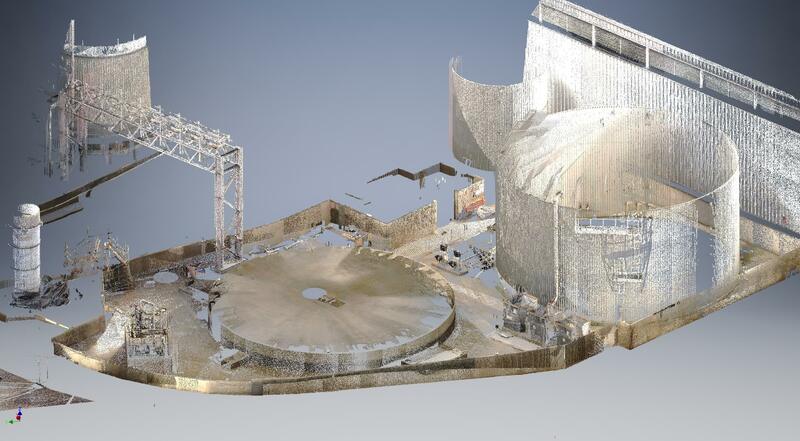 Cadtec is focused on the fast-evolving discipline of 3D laser scanning. We provide accurate, innovative and competitive surveying, measurement and visual solutions for our clients through the very latest technology. Based in Derbyshire, we are ideally located to carry out projects throughout the UK. If you require a quote or would like any further information, please get in touch with us via our contact page. We provide a reliable flexible service and will work with you to suit your requirements and deadlines by providing high quality CAD drawings at a competitive cost. We pride ourselves on delivery and quality of service. 3D piping (Using Solid Edge Xpress Route) also for Solid Edge users customizing non-standard parts such as valves, elbows etc can be multi-part modelled then added to the XpesRoute or custom piping library. Our base in the East Midlands enables us to provide a flexible service to our clients. Urgent or late drawing changes and situations can be resolved at the drawing office or at our client’s offices. Cadtec offers a site surveying service having worked in the past on a number of power/process plants throughout the UK. Using all of the techniques at our disposal we have been privileged to supply services and resources to many companies throughout the UK. By working closely with our clients, we can help provide cost effective solutions to companies. 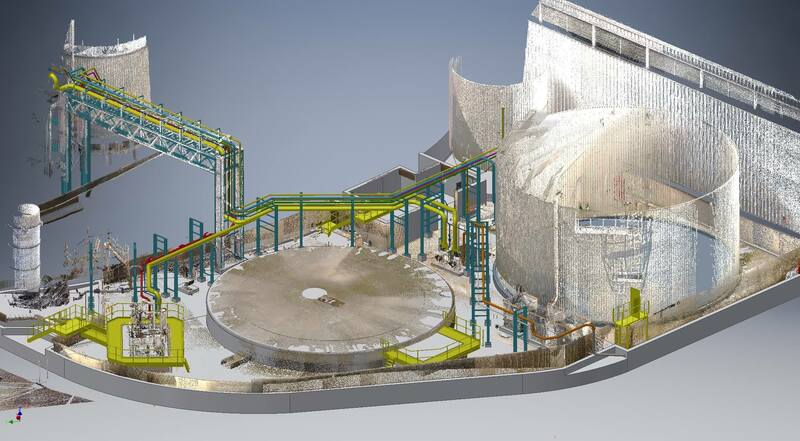 Cadtec laser scanned an Industrial treatment plant for the installation of the pipe work, pipe support structures & pipe bridge for a Anaerobic digestion plant. Slide to the right to see the ‘before’ picture, and slide to the left to see the ‘after’ picture.